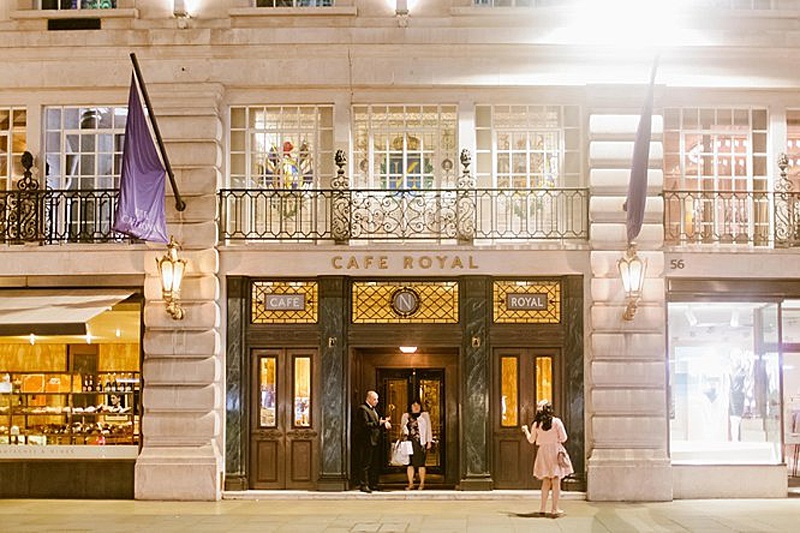 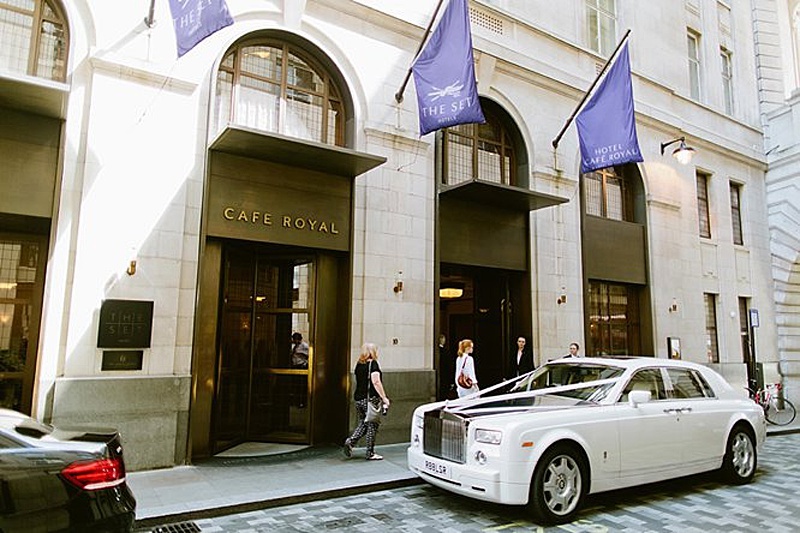 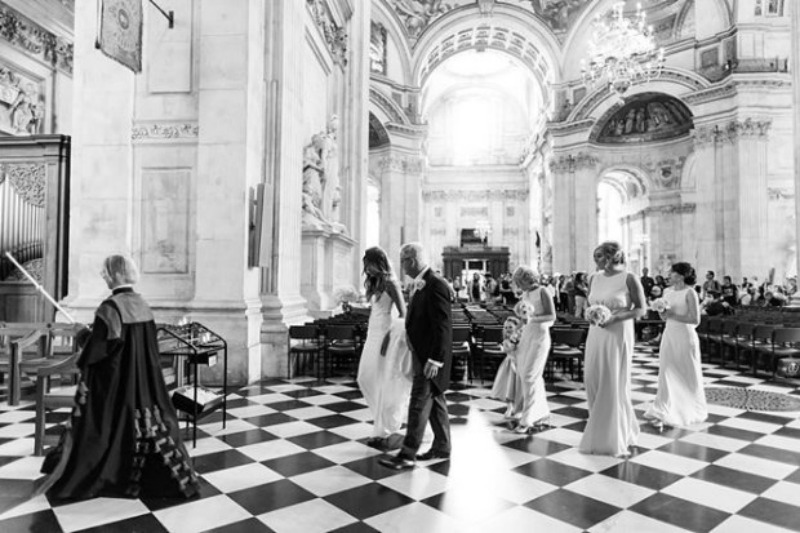 Earlier this year we had the great pleasure of working with the lovely Kimberley and Scott whose beautiful wedding took place at the breathtaking St Paul's Cathedral, London followed by a reception at Hotel Cafe Royal, Regent Street, London. 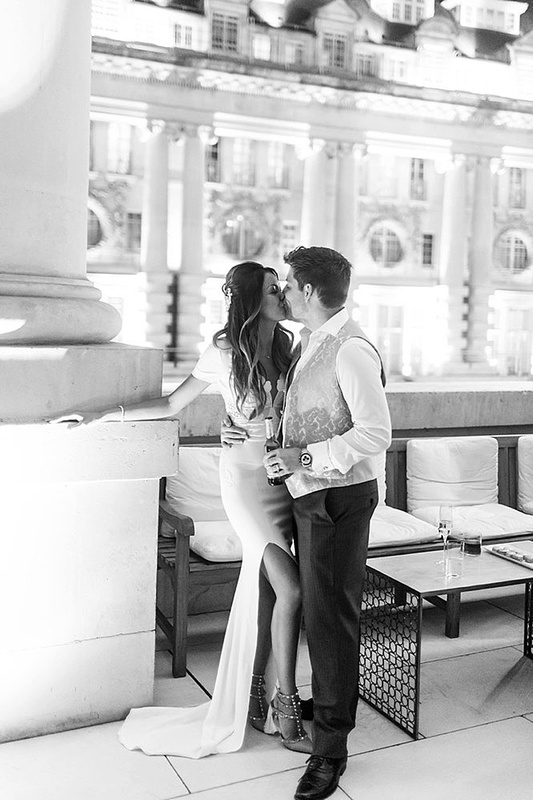 From the very first moment we met Kimberley and Scott we knew that their wedding was going to be an incredibly stylish affair. 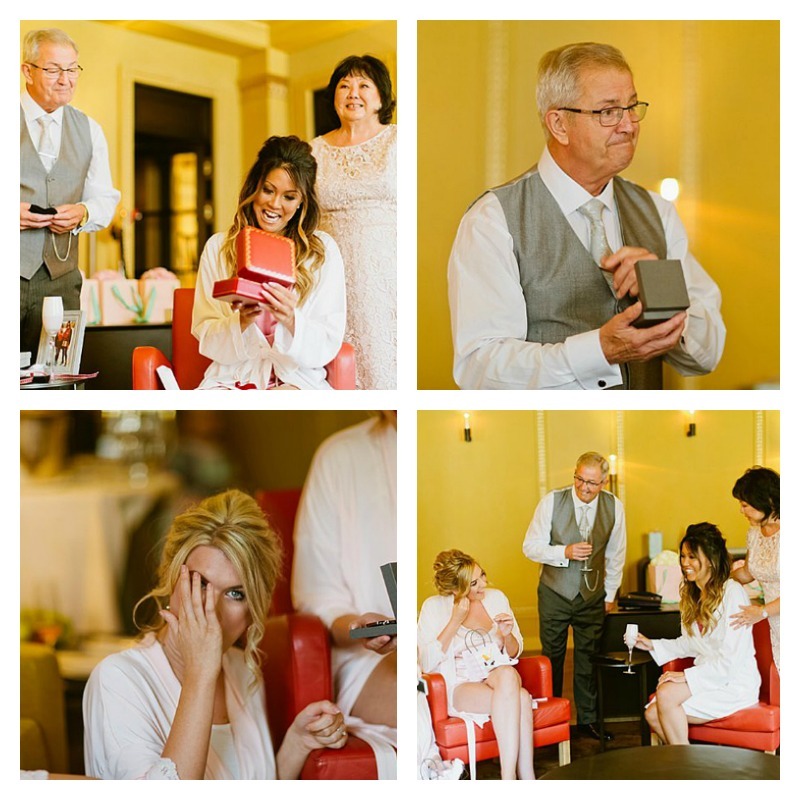 We had such a wonderful time assisting Kimberely and Scott with their plans for their big day, they are such a fun loving couple. 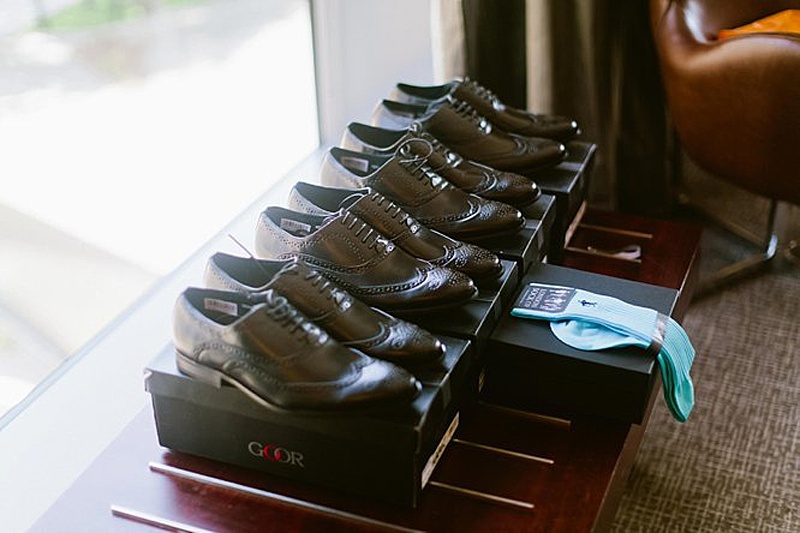 Kimberley is very much in to her fashion and like us has a real love for designer shoes, it's therefore fair to say that we instantly hit it off! 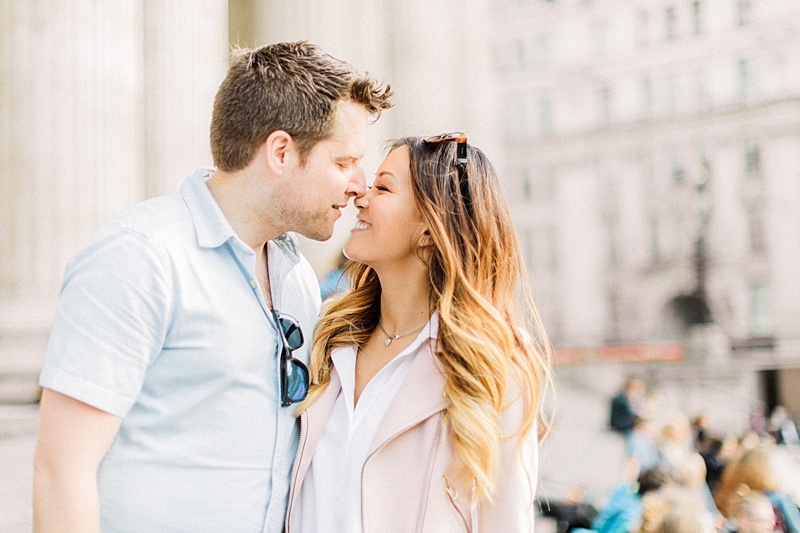 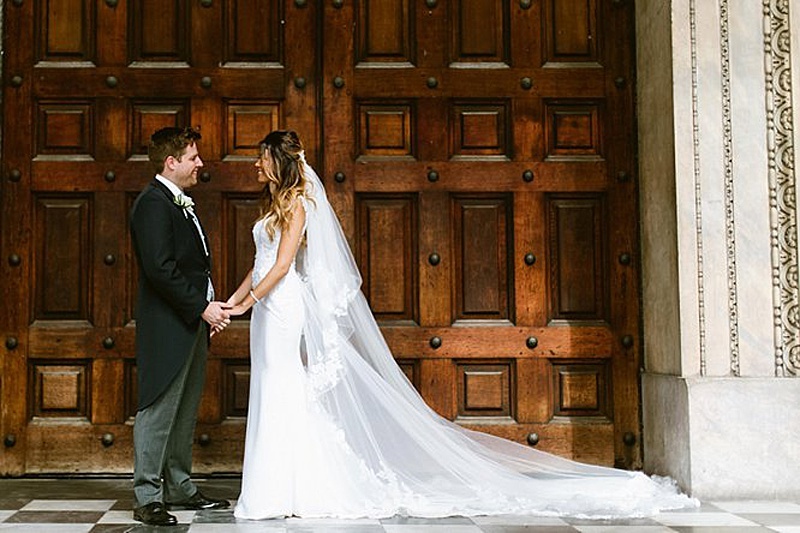 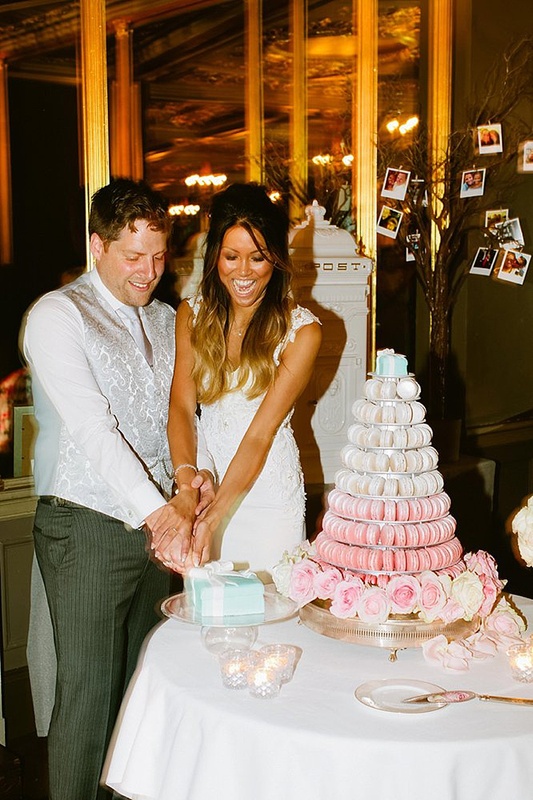 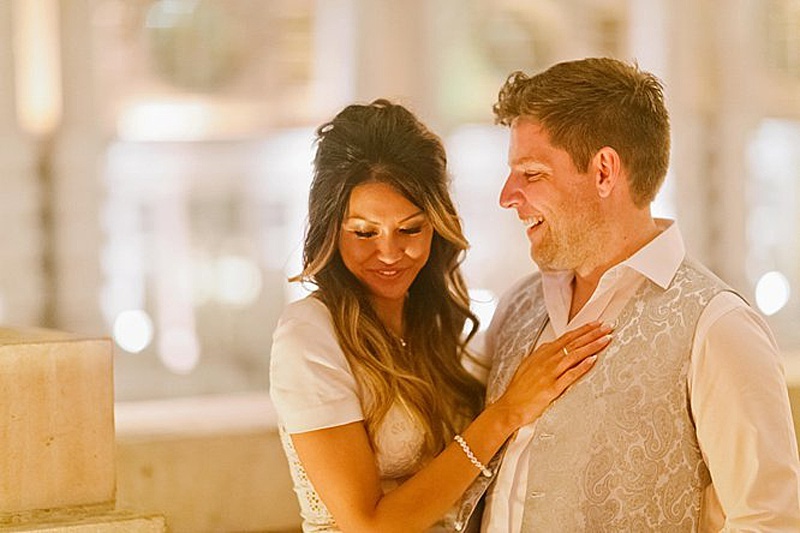 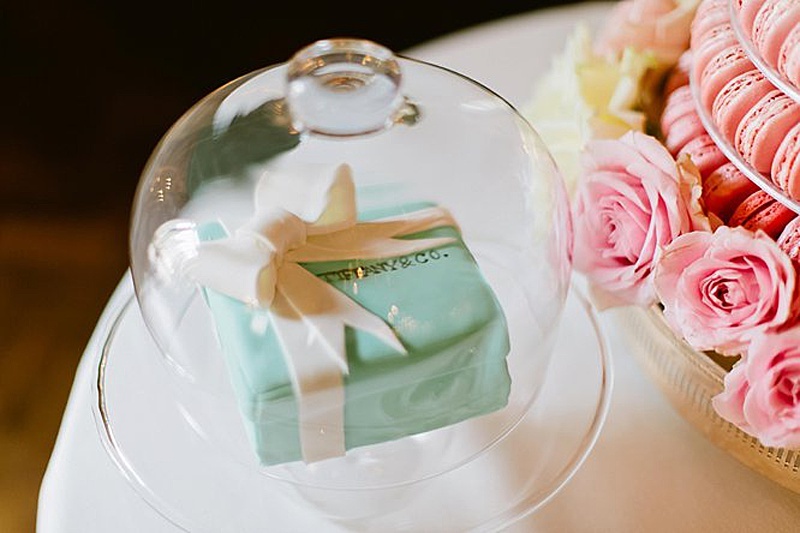 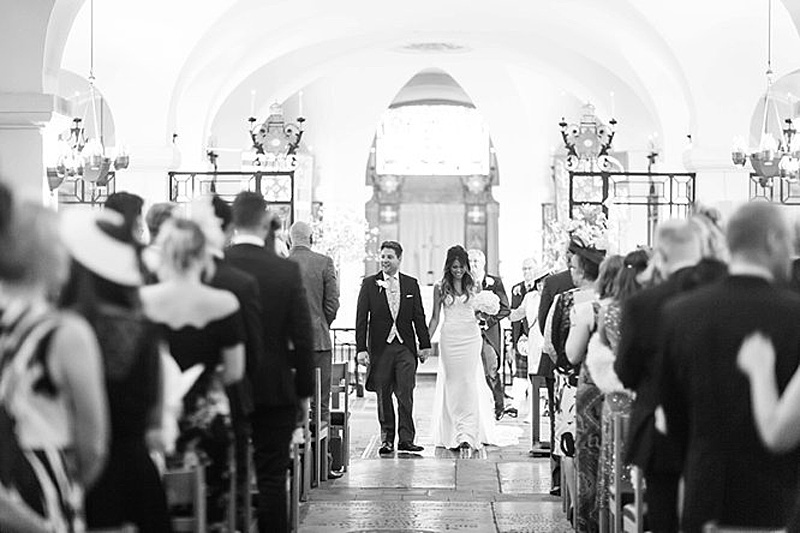 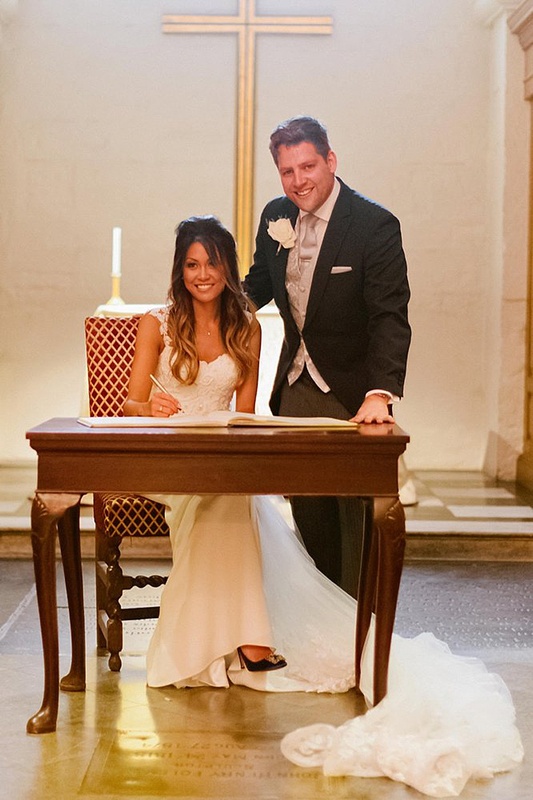 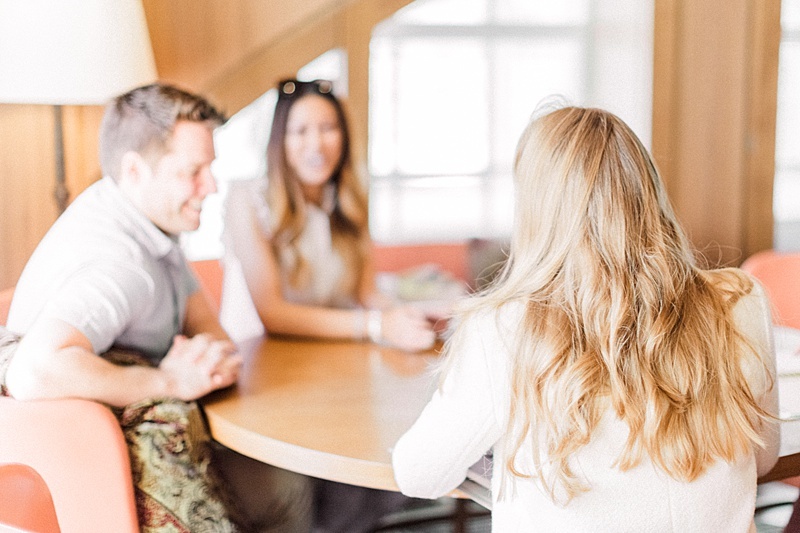 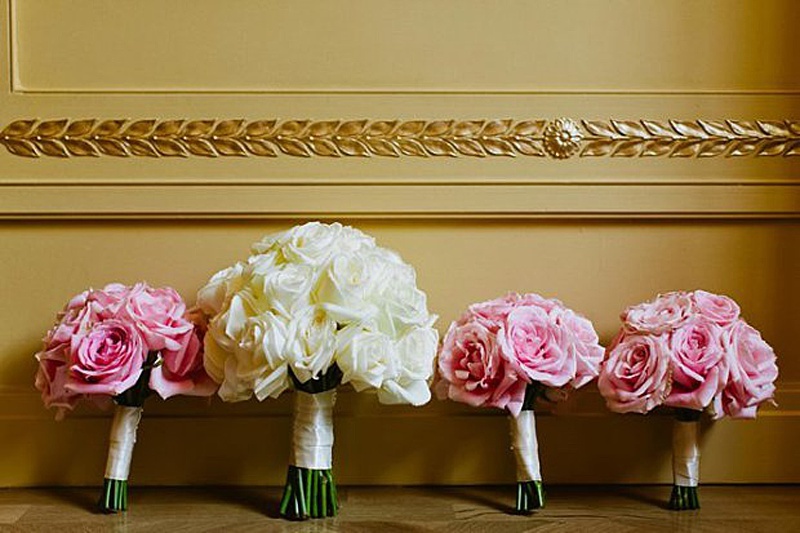 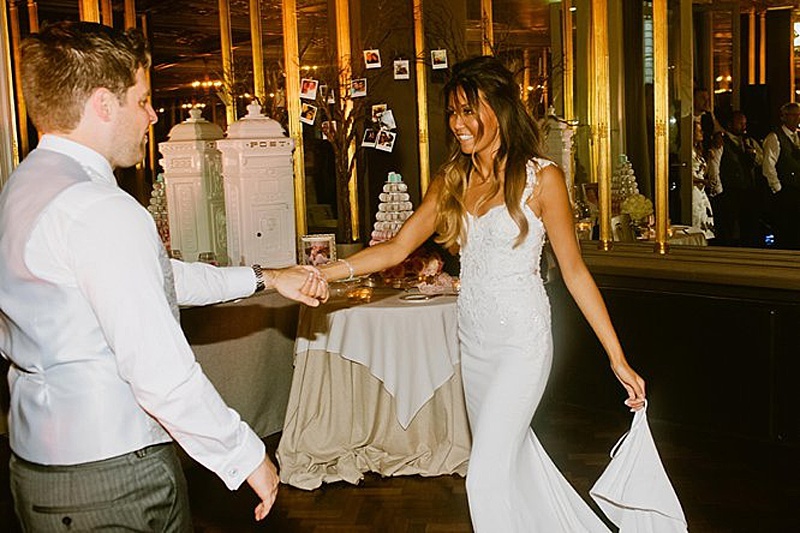 As the owner of the award-winning boutique, Kimberley Anne Bridal, Kimberley is no stranger to the wedding Industry and both Kimberley and Scott had a very clear vision for their London wedding. 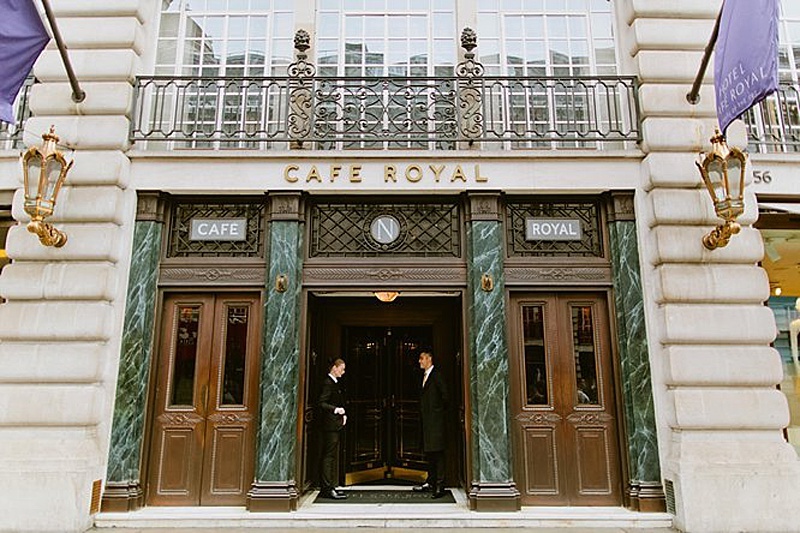 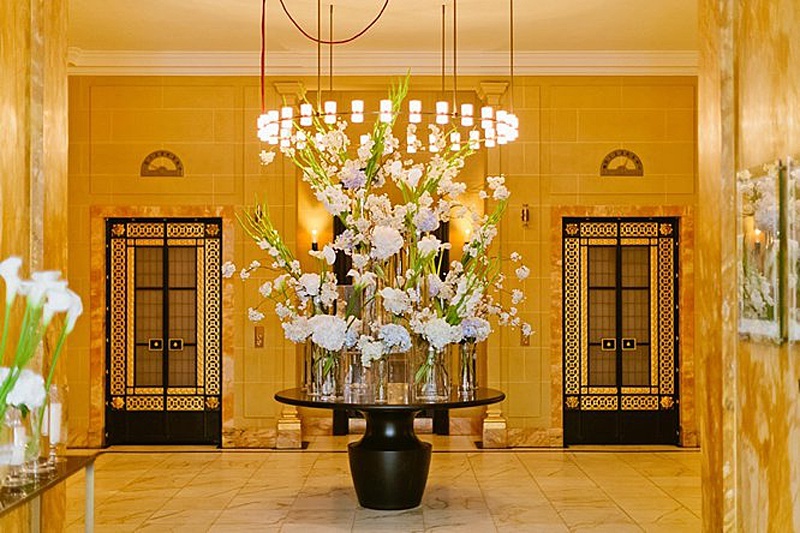 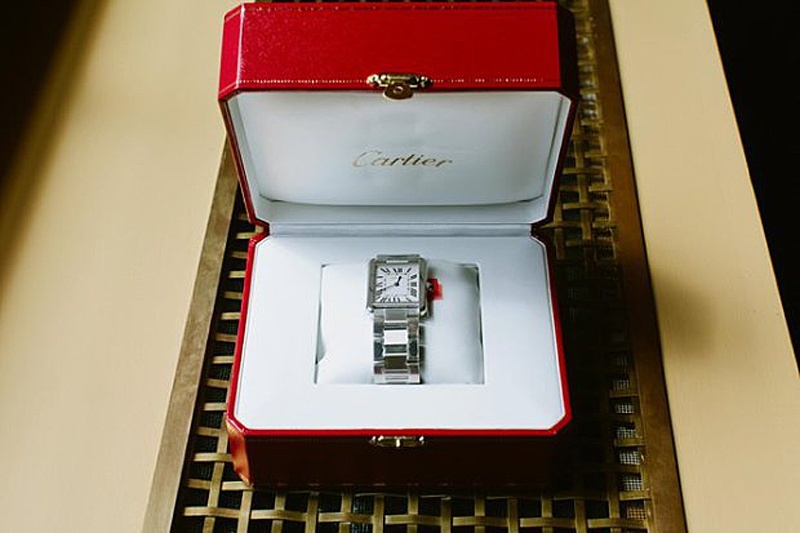 The wedding day began with bridal preparations in the spectacular Celestine Suite of the iconic Hotel Café Royal. 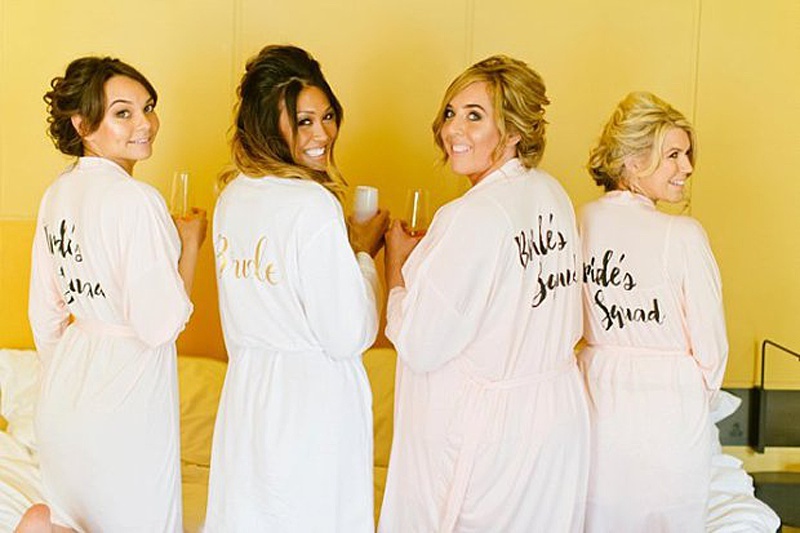 The fantastic team at Nala and Knot did an amazing job of beautifying Kimberley and her bridesmaids on the morning of her wedding. 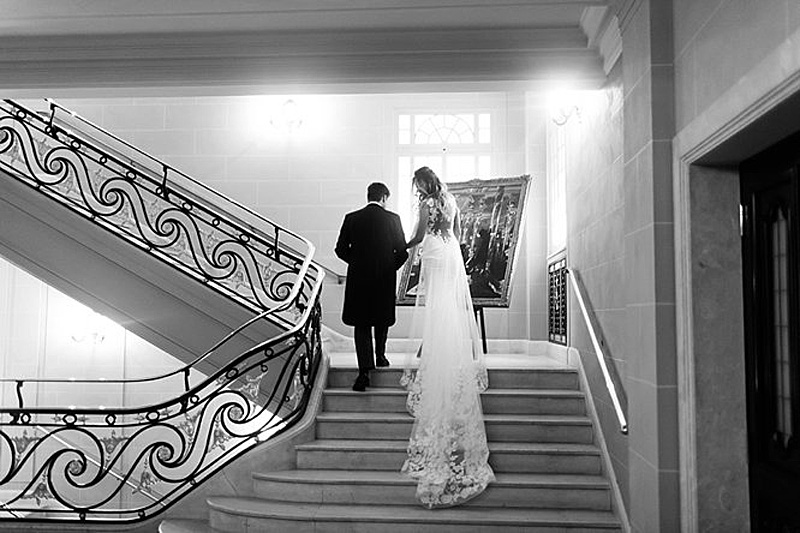 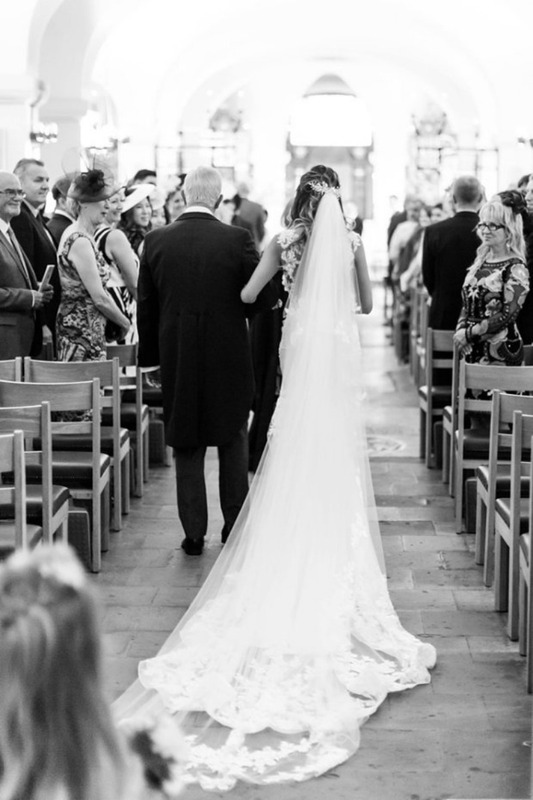 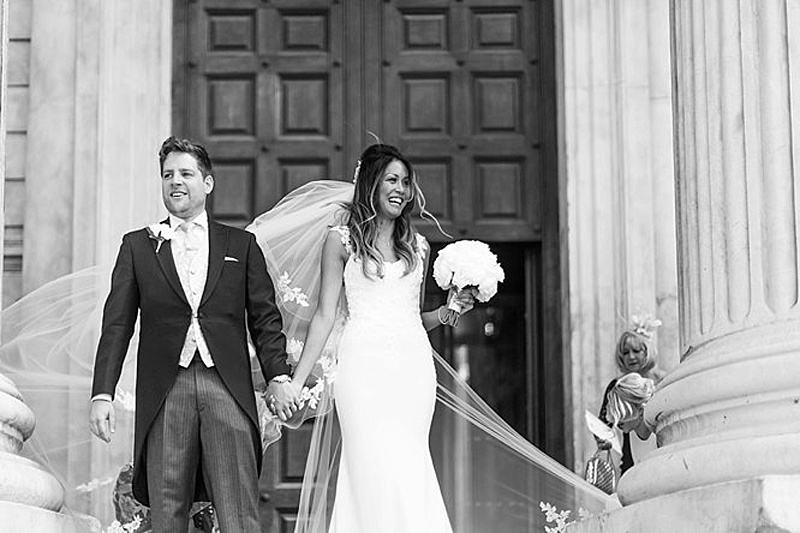 For her wedding gown, Kimberley selected a beautiful bespoke design by Dando London. 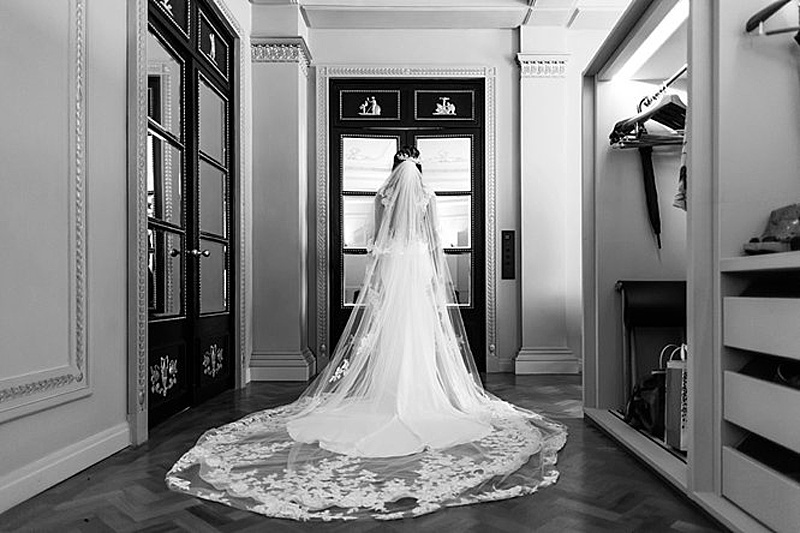 It was by chance that she happened to meet the designer, Christine whilst viewing the Dando London collection for her boutique in 2016. 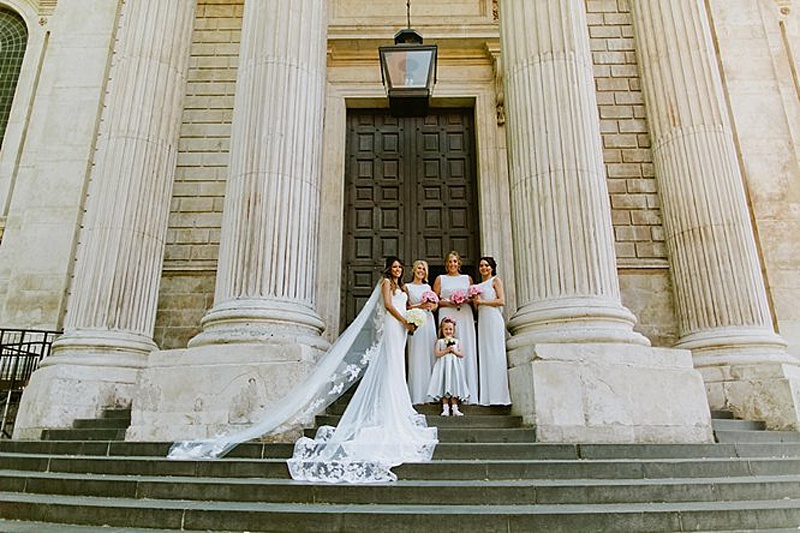 Working together Christine and Kimberley designed a stunning gown which perfectly suited her petite frame. 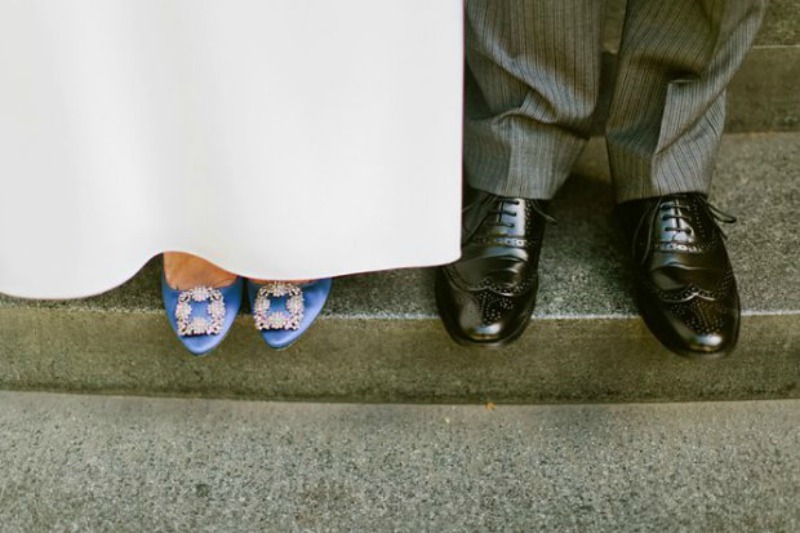 What bride wouldn't want to get married in a stunning pair of blue Manolo Blanik shoes, Carrie Bradshaw eat your heart out! 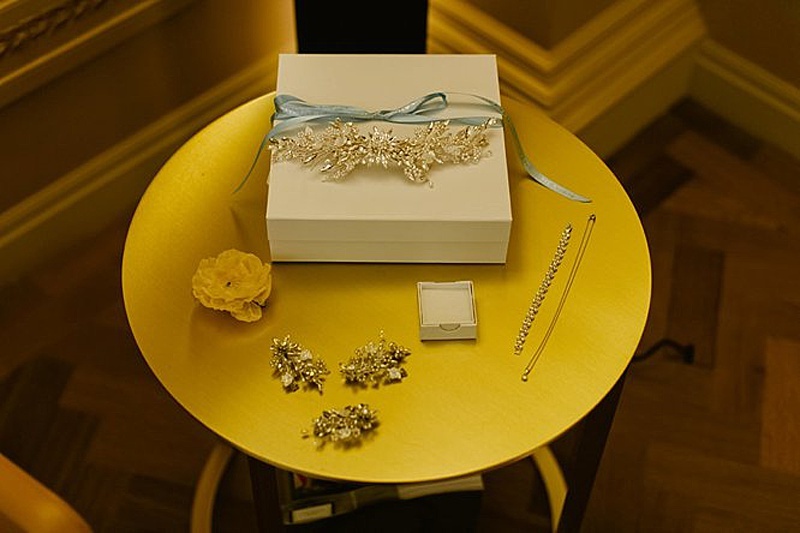 To compliment her bridal look, Kimberey choose beautifully bespoke made accessories from accesories designer, Anne McKavney at Eleventh Heaven. 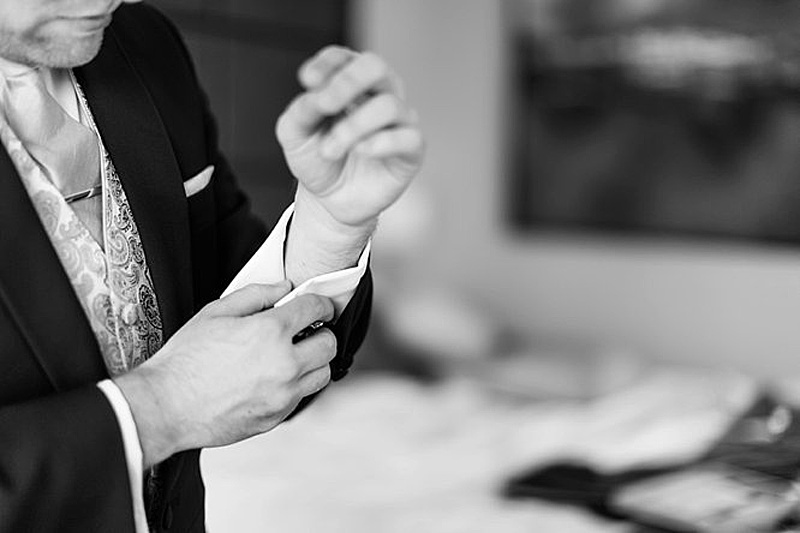 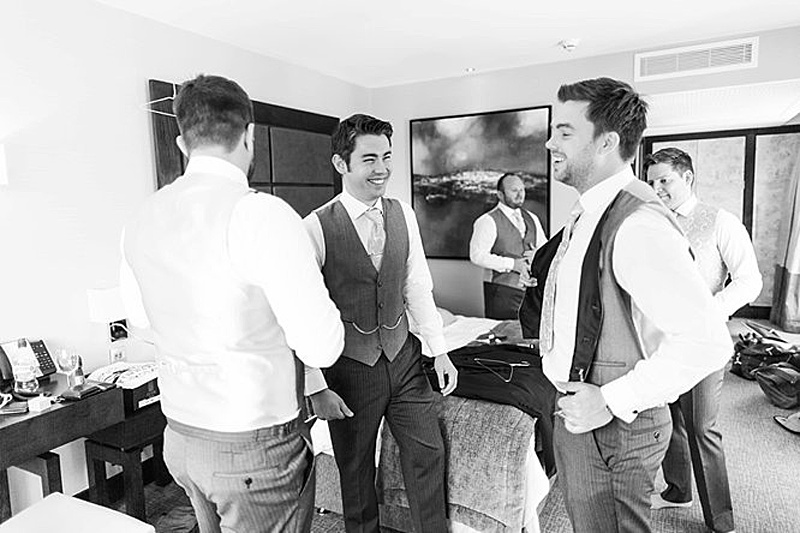 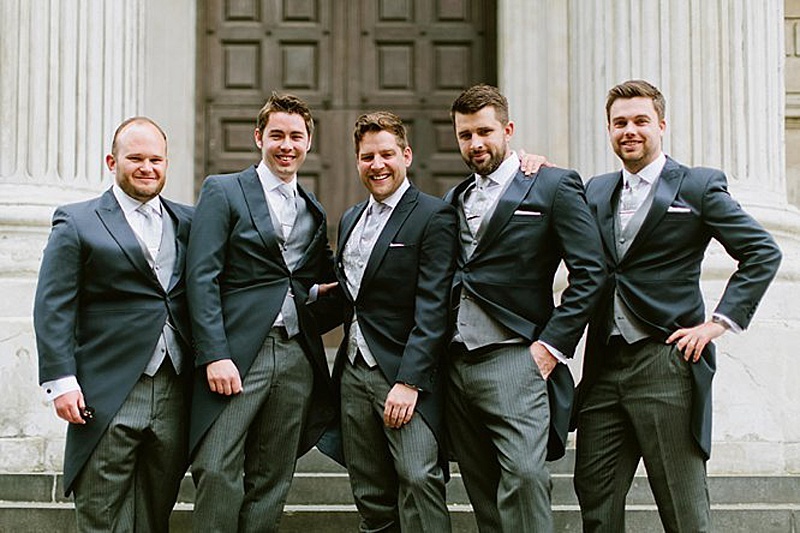 Whilst Kimberley was getting ready with her bridesmaids and close family, Scott spent a relaxing morning with his groomsmen at the Grange St Pauls. 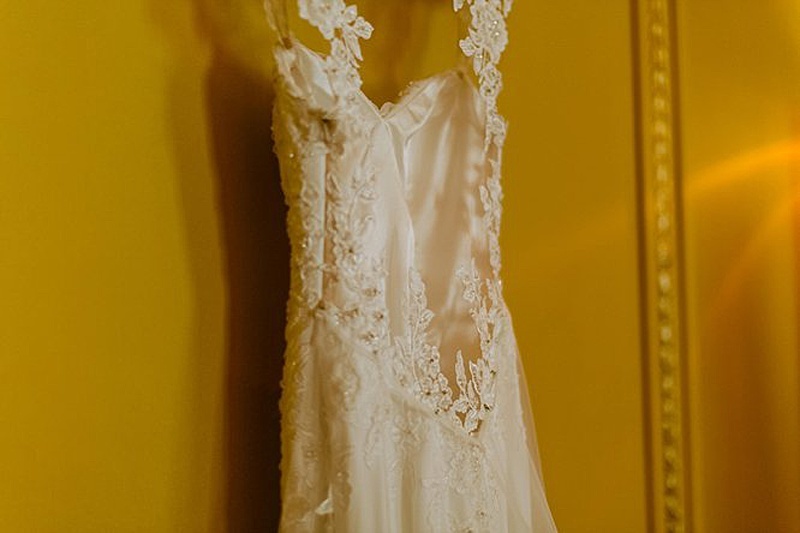 On the morning of her wedding Kimberely was lucky enough to have her very own dress designer, Christine Dando assist her with the preperations. 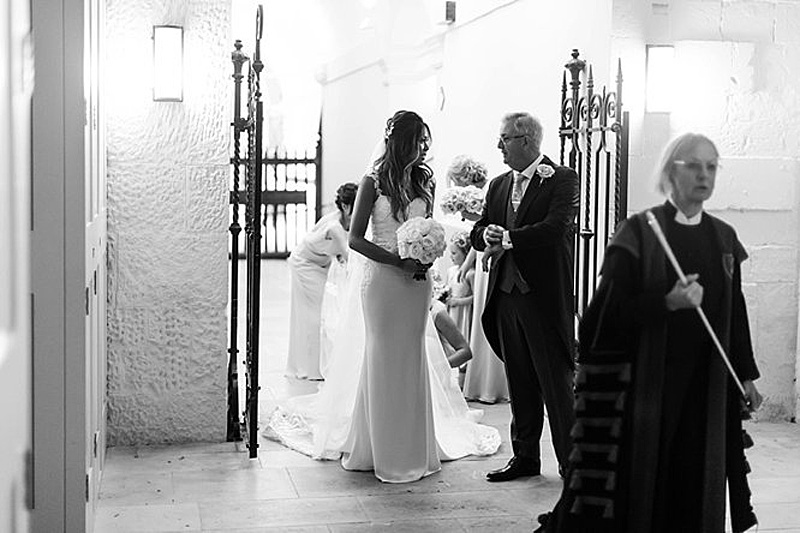 Christine was on hand to ensure that her stunning gown was absoloutely perfect for her big day. 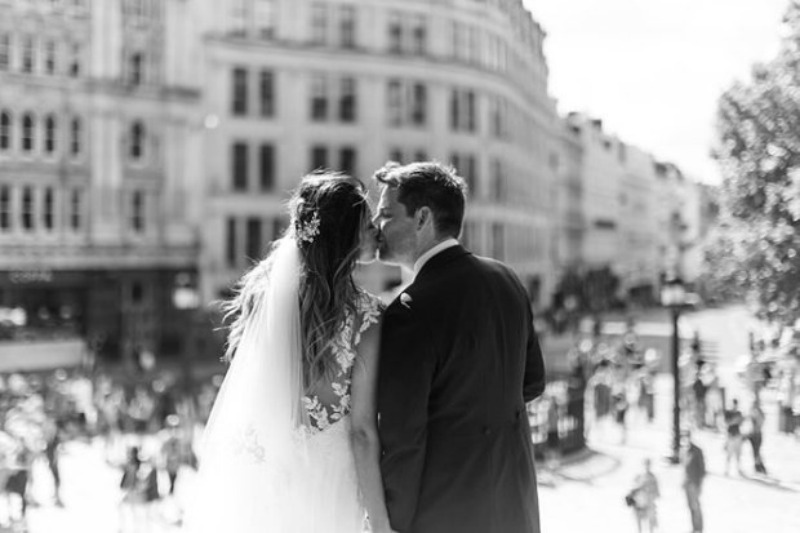 Following their marriage ceremony at St Paul’s guests were transported to Hotel Café Royal by a London Bus for their champagne reception which took place in the Studio Suite of the Hotel. 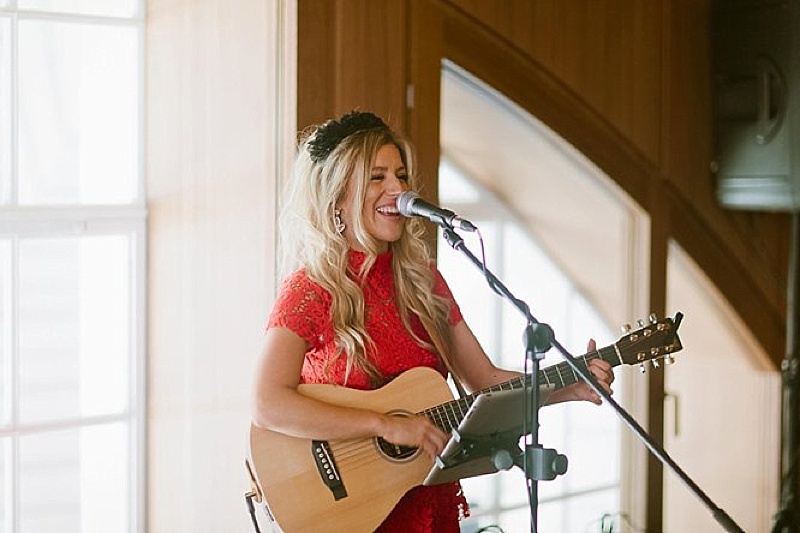 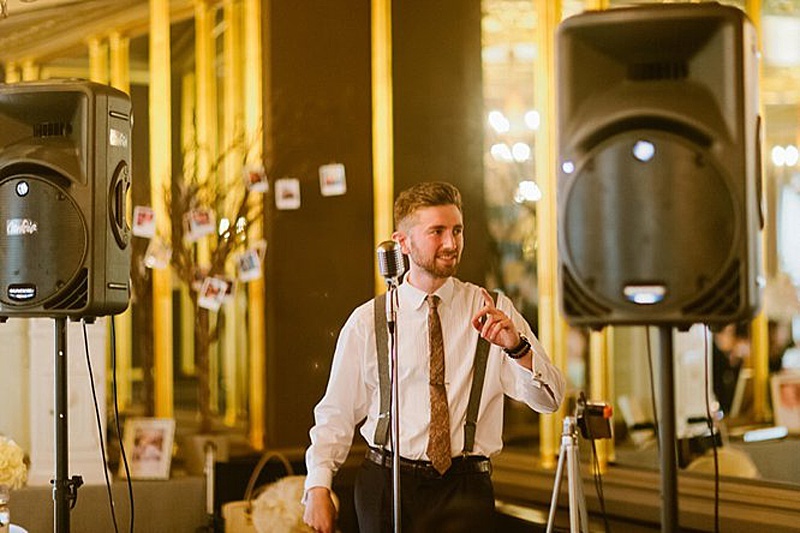 Entertainment was high on Kim and Scott’s list of priorities and throughout their drinks reception guests were entertained by the fabulous acoustic singer and guitarist, Jess Avison. 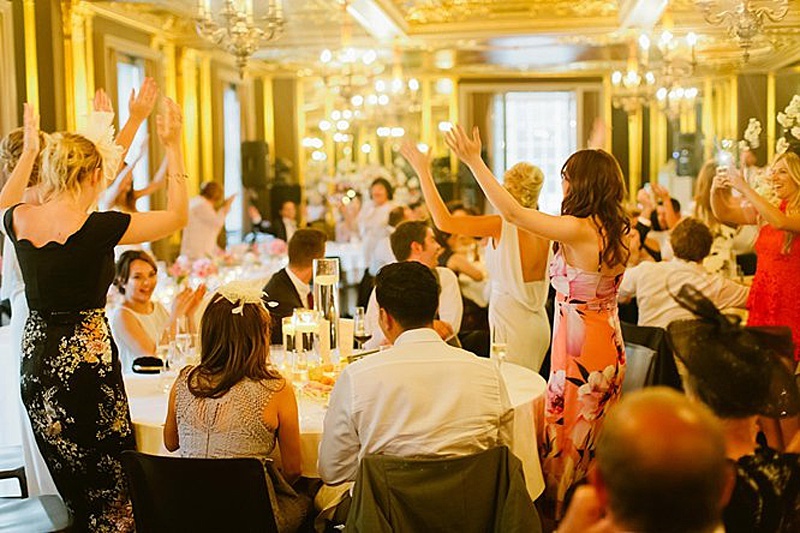 The wedding breakfast took place in the beautiful Pompadour Ballroom, one of the grandest ballrooms in London which has been beautifully restored to feature original and ornate detailing. 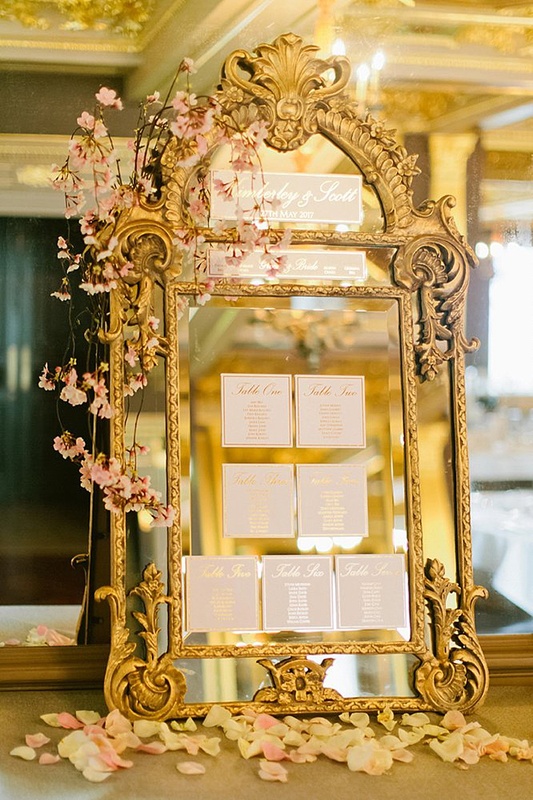 The Louis XVI style room has a number of fluted Corinthian pilasters and mirrored panels with gilded frames, it really is a sight to behold. 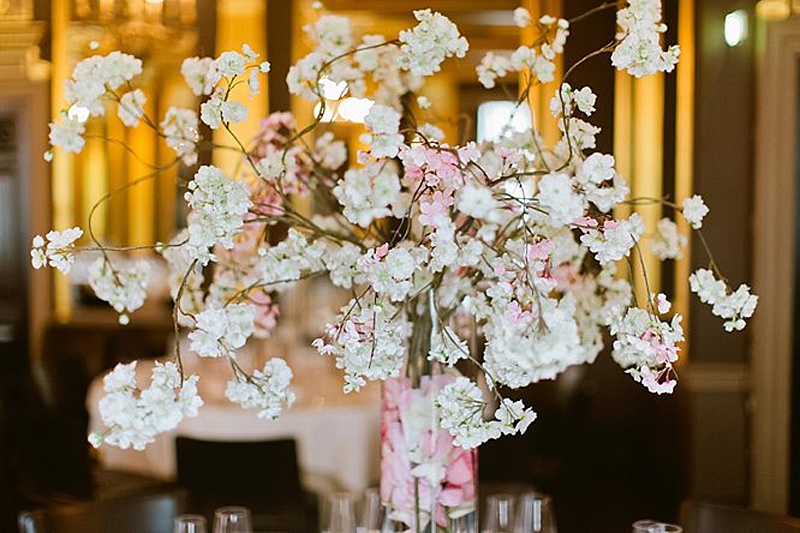 Kimberley opted for a beautiful spring design scheme with florals by Jamie Aston Flowers, incorporating both cherry blossom and an abundance of roses. 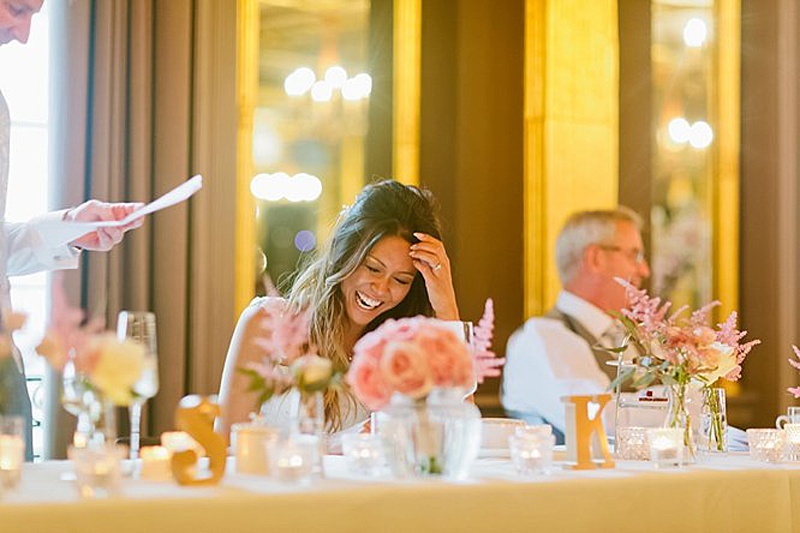 Kimberely chose a colour palette of soft blushes and creams which worked perfectly amongst the opulent surroundings of the Pompadour Ballroom in Hotel Café Royal. 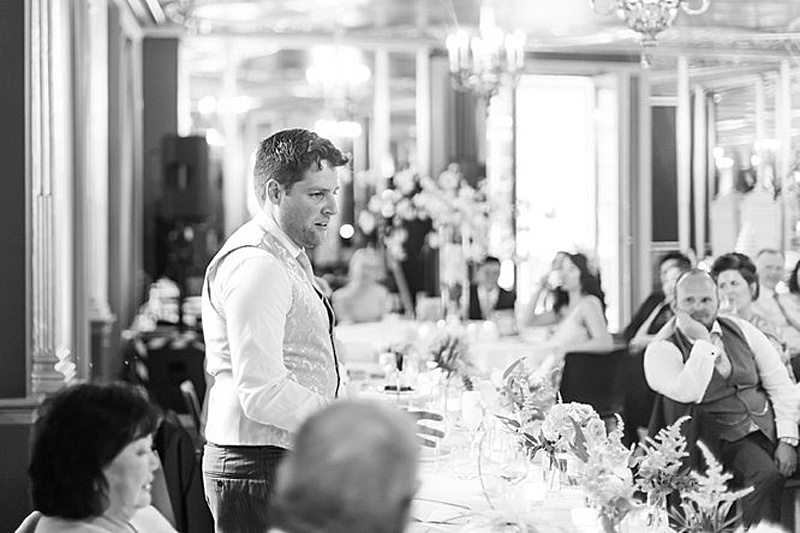 During the wedding breakfast guests enjoyed a wonderful performance by Jazz singer, Arthur Geldard. 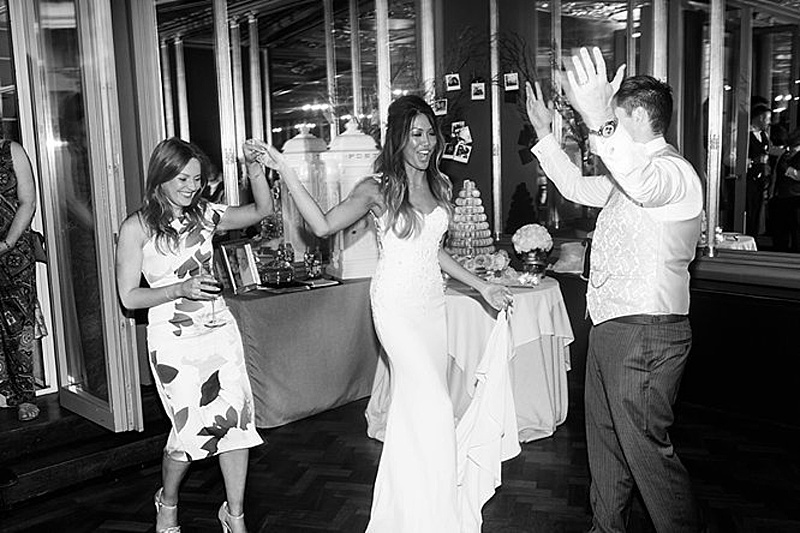 Following the cutting of their Tiffany Cake, the evening celebrations continued in to the early hours with entrainment by the fabulous party band, the Hot Shots. 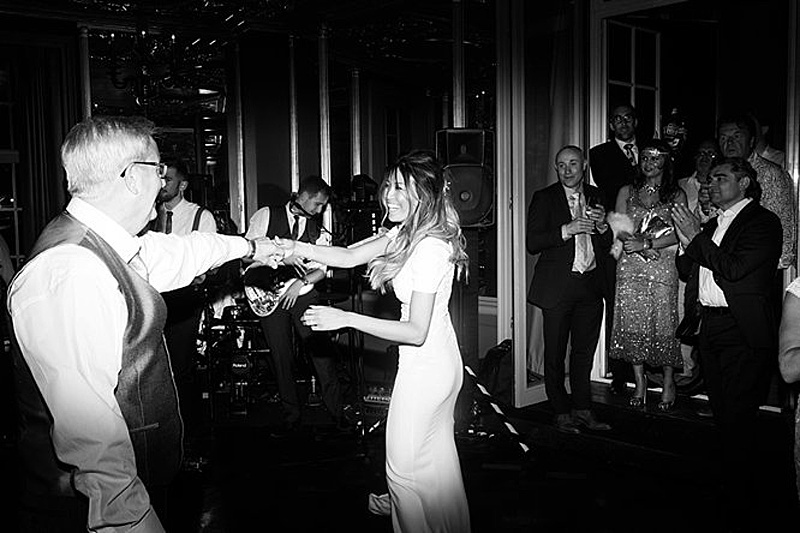 Just before the evening party really got started Kimberley changed in to her second outfit for the evening, a beautiful customised Stella McCartney floor length wedding gown which had been adjusted by her seamstress to incorporate a side split. 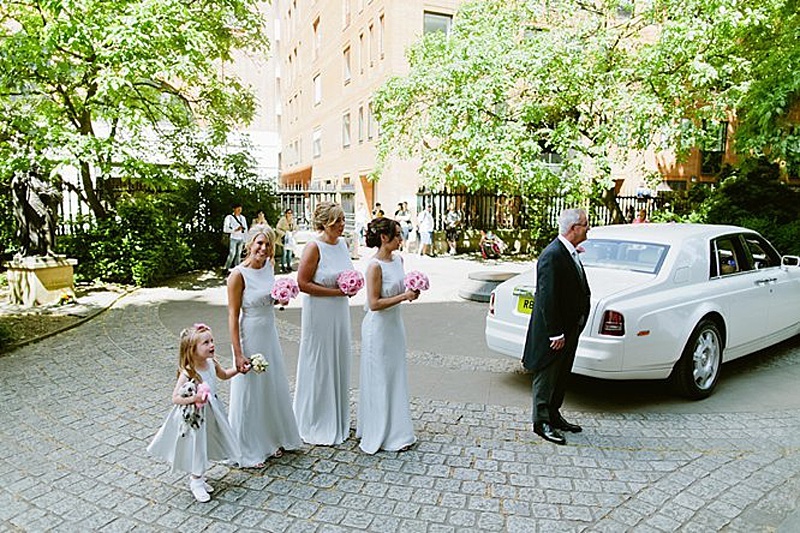 The gown looked absolutely stunning with her soft blush Maison Valentino Rockstood shoes. 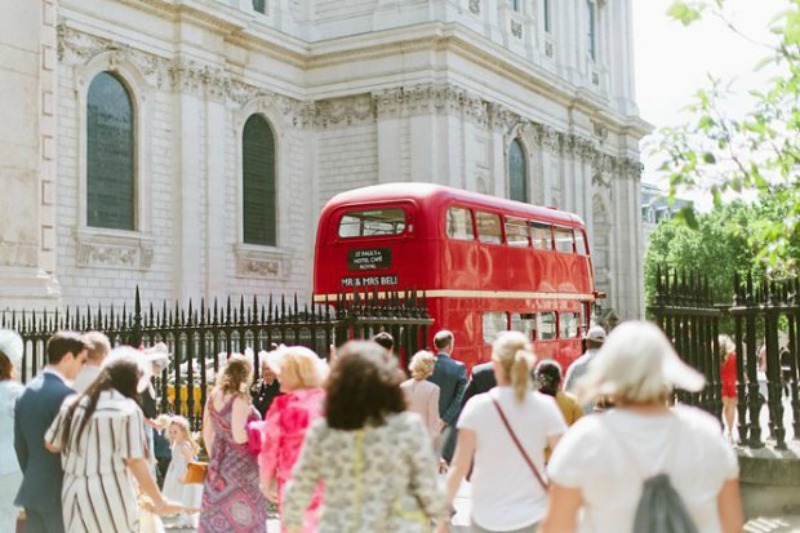 Hosting a wedding in central London requires detailed planning and preparation, particularly when it comes to the transport arrangements. 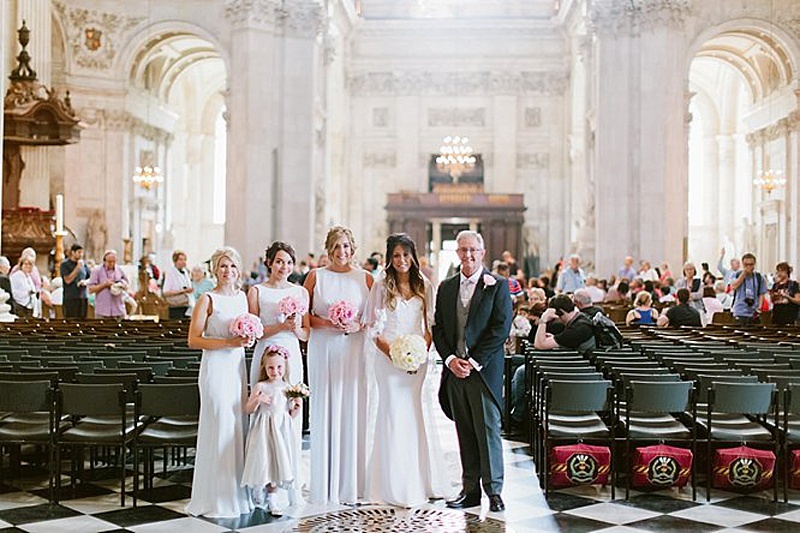 The complex logistics of St Paul’s Cathedral meant that there simply was no room for delays and it’s with special thanks to Jennifer Holden of Raspberry Bespoke who ensured their day ran like clockwork. 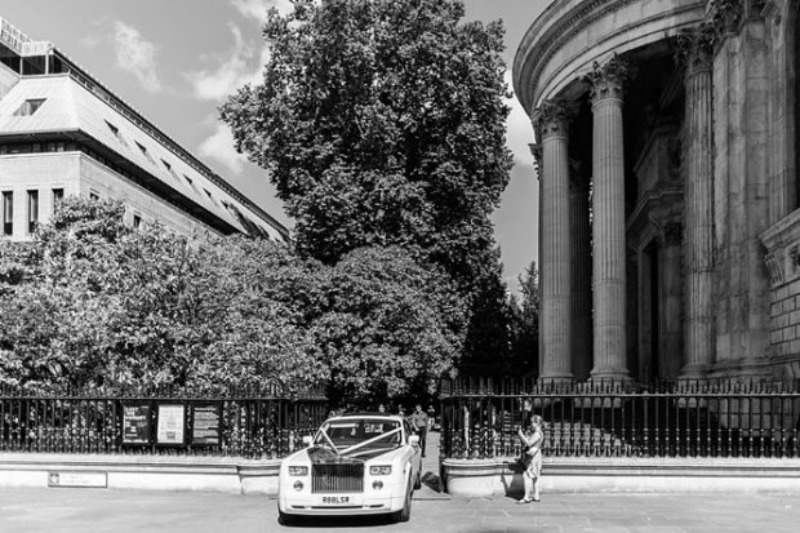 With thanks to Jay Rowden for his fantastic photography and for sharing his imagery with us. 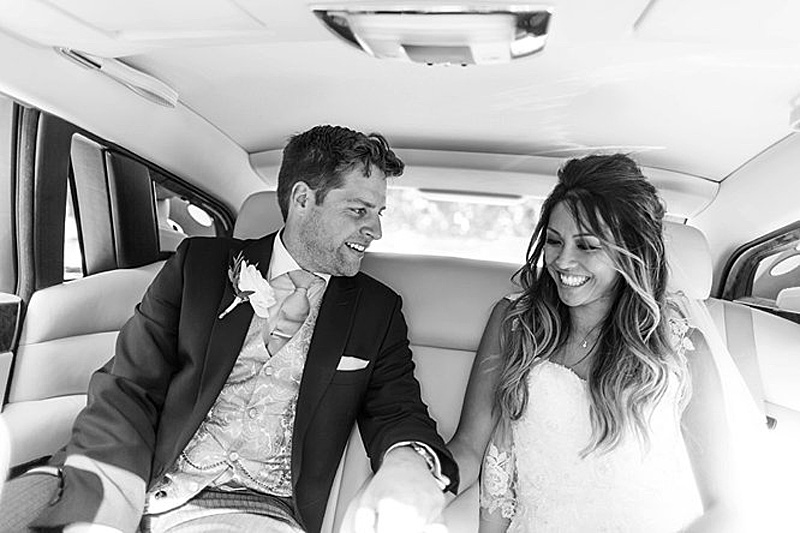 It was such a pleasure to work with Kimberley and Scott and we wish them a life time of happiness together. 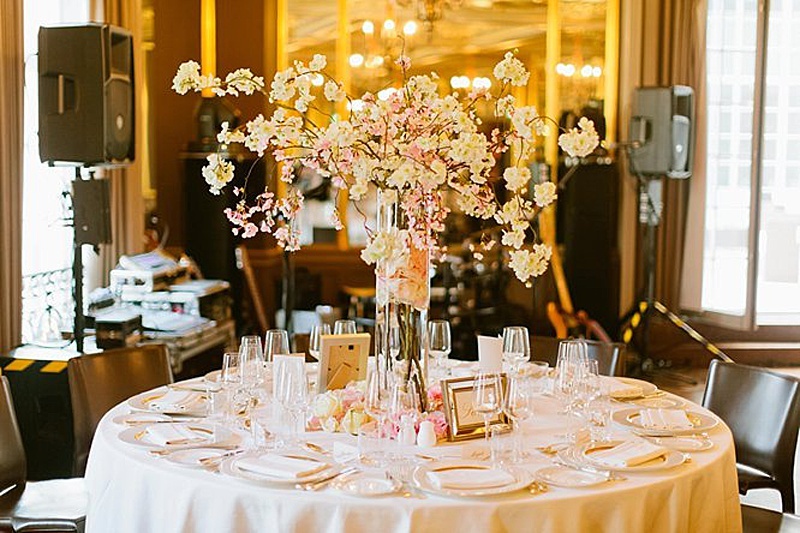 We would like to thank them for thier incredibly kind words. 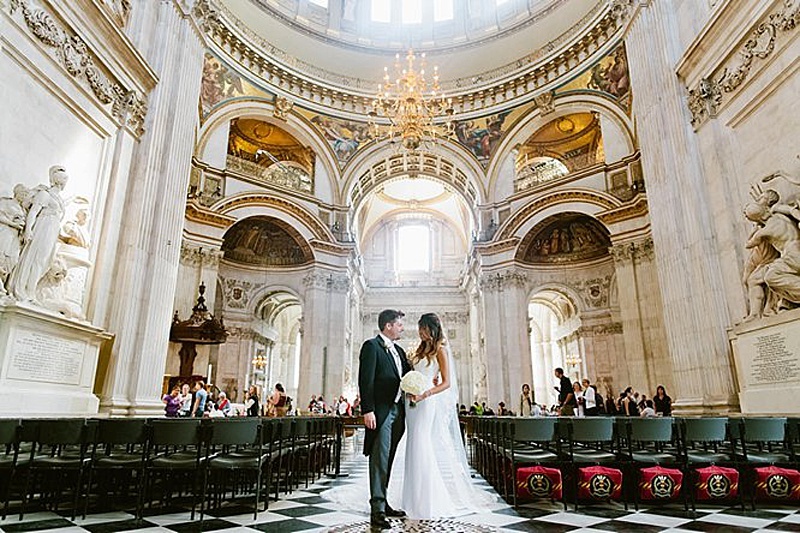 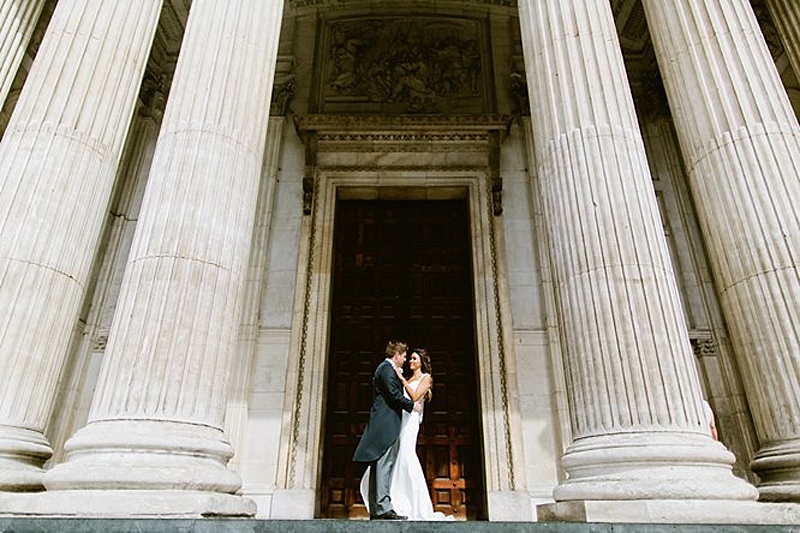 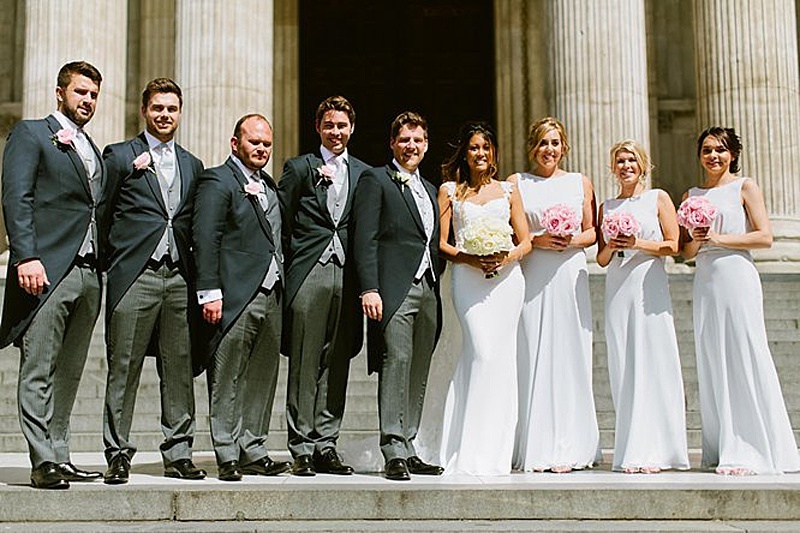 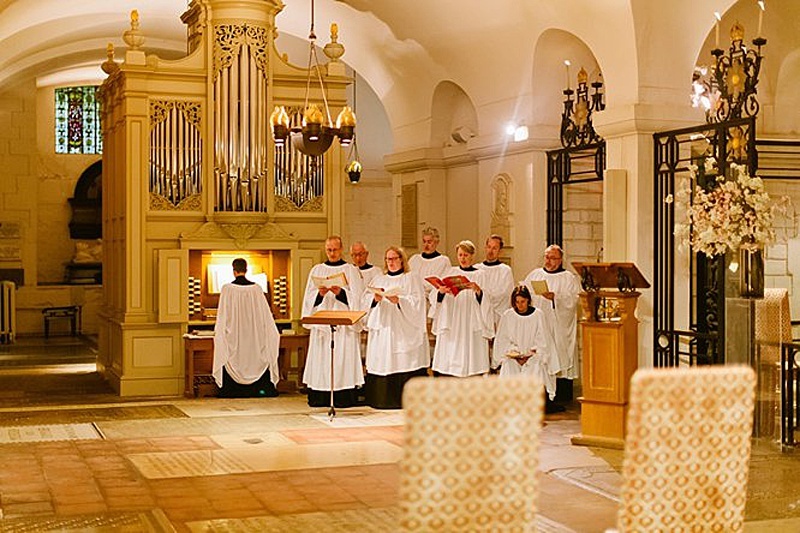 "Helen helped plan our wedding at St Paul's Cathedral in May and she did an absolutely wonderful job. 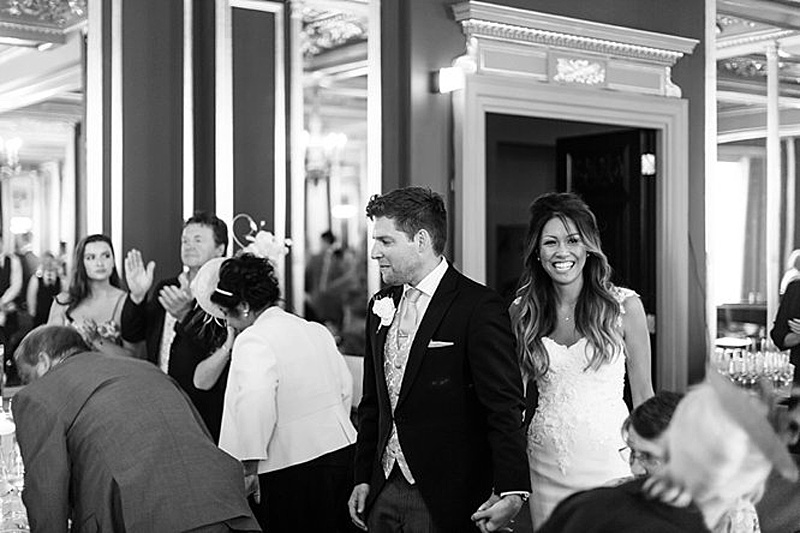 The logistics were complicated and having Helen on board made my life so much easier. 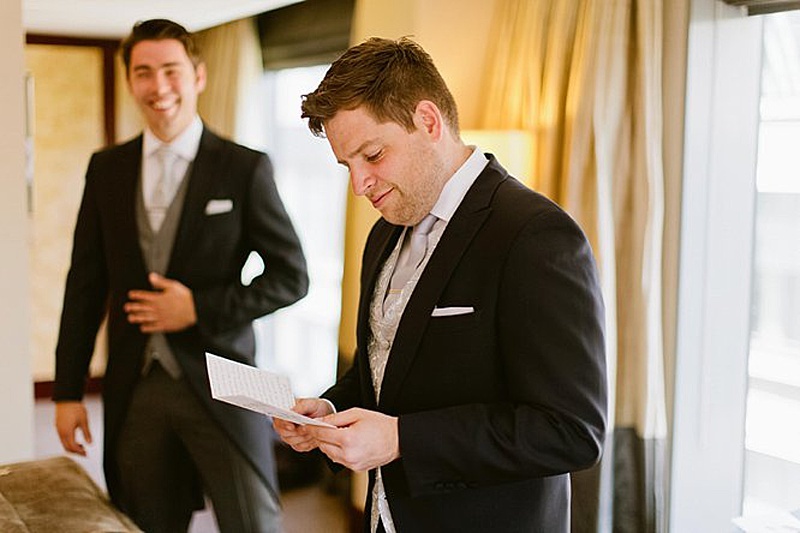 I felt I could enjoy the run up to the wedding and the day itself. 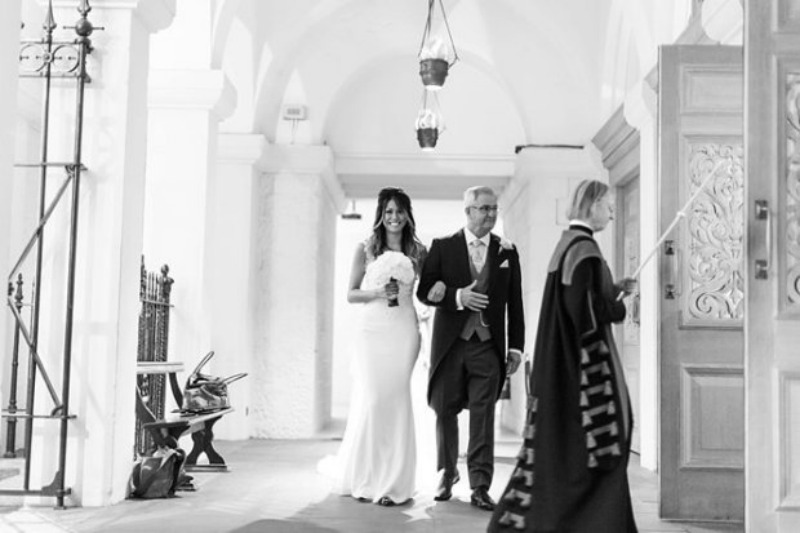 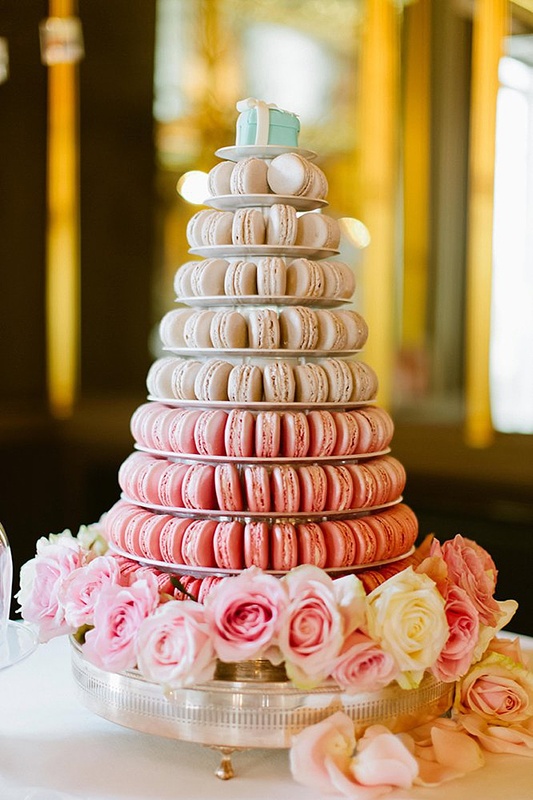 Thank you Helen for all your help and hard work, it really paid off and we had a perfect day"
If you are looking for assistance with planning or coordinating your London wedding, then please visit our planning services here. 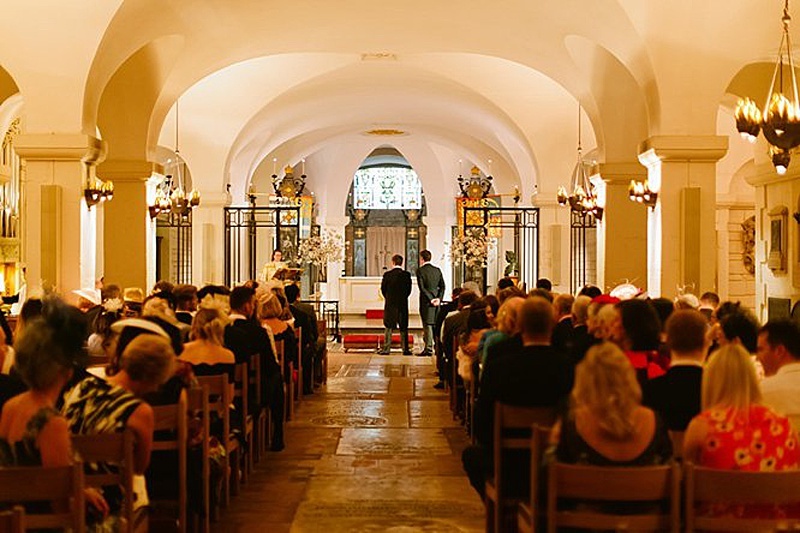 Do get in touch - we would love to hear all about your exciting plans for your day.